Tonight on Facebook there has been a quiz going around. 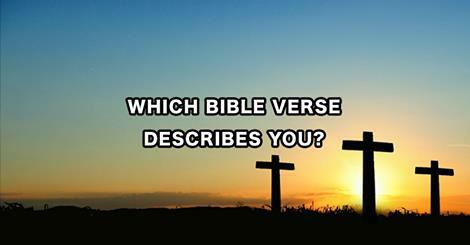 The question is what Bible verse best describes me. I got Isaiah 40:31 “But they that wait upon the Lord shall renew their strength; they shall mount up with wings as eagles; they shall run, and not be weary; and they shall walk, and not faint”. I have read this verse many times and have heard a number of songs that is based on this verse. So I had to think about it and see what it said and why this verse described me. I’m not really sure it describes me in any real sense. But it is one of these verses for those who have come out of the darkness. When you come out of that dark place it is faith that carries me through all those moments. I have very little patience and I have to remember that when I call upon the Lord I need to be patient and wait for His answer. He will n ever fail us and will give us the strength we need. We don’t need to be weary while we are waiting on an answer. This is a problem area for me for sure. I know without any doubt in this world that I can count on Him to give me the strength to do whatever it is He has for me for to do. A friend of mine I use to work with at Lin’s got Deuteronomy 31:6 (NIV), “Be strong and courageous,” for the Lord your God is with you. (NIV), “Be strong and courageous,” for the Lord your God is with you. Just as God was with Moses, just as God was with Joshua, just as God was with Jesus, so God is with you today. That is a pretty awesome verse and promise. We may encounter new things in our walk with the Lord and come up against some pretty horrible obstacles that Satan put in our path. But we should never fear, take heart, for God is saying to each of us, “Be strong and courageous,” for the Lord your God will be with each of us wherever we may go. These are some pretty awesome verse. 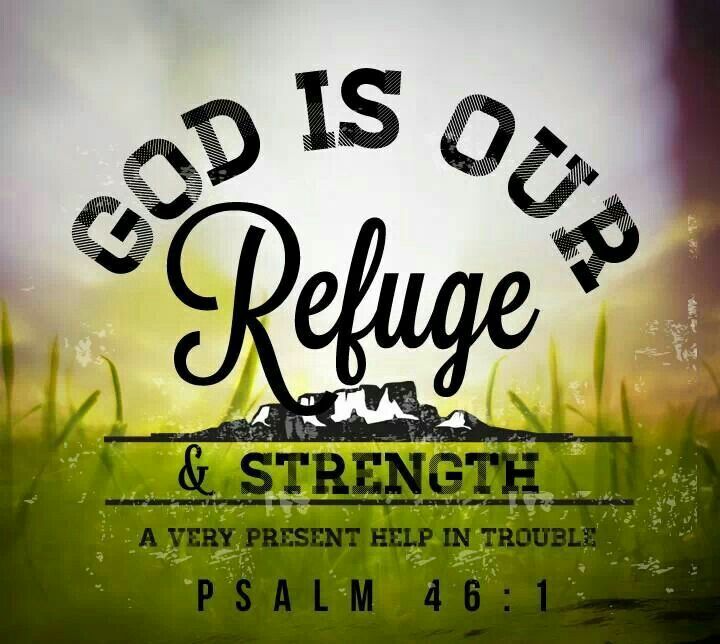 And it reminds me of my favorite verse Psalms 46:1, God is our refuge and strength, ever present in times of trouble. Psalms 46:1 is my favorite because I know that no matter what I am going through God is there. And I guarantee that I get myself in a ton of trouble and I am very thankful that God is always there for me, even in my stupid moments. There is no way that anyone is going to be able to escape being living in this world avoid finding trouble. It’s very important that we are prepared when trouble comes. When troubles comes we rarely have any warning. But because of God’s promises to be with us during our times of trouble and when we feel our weakest, we can become stronger. And that promise is something that gets me through each and every day. I have many that ask me how I can get through the things I go through each day. And my answer is quite simple and that is because of God. My personal relationship with Christ gets me through everything and He gives me hope when I don’t think there is any hope left. We always have hope when we have God! There may be bad things on Facebook, but I love it when there are things like this question that makes me think. I hope I have given others something to think about and hope that God is always with you. And if you feel like you have no hope, then I feel bad for anyone who has no hope. Swimming and Baptisms- Irrigation Ditches. A Bit Frustrated- Warning- This is a Vent Post! Changing My Diet- Vegan- Vegetarian or Mediterranean? What’s Your Thoughts? Sandie D on Swimming and Baptisms- Irrigation Ditches. alenehischild on Swimming and Baptisms- Irrigation Ditches. Anonymous on Swimming and Baptisms- Irrigation Ditches.